When I woke up it looked like a nice clear morning. 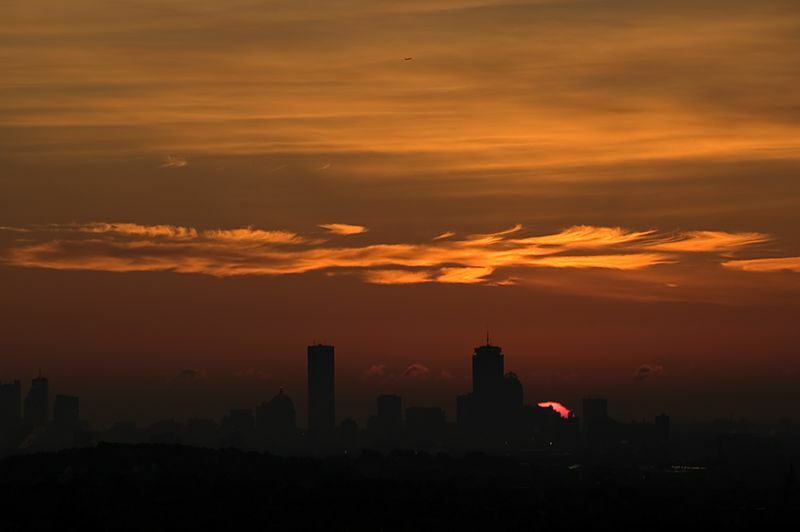 So, with sunrise scheduled for 7:15am, about as late as it will every get, I decided to go over to Prospect Hill Park to capture pictures of the sunrise over Boston. This picture was taken from Boston Rock, at Prospect Hill Park. It shows the sun just starting to appear behind the Prudential Center tower in downtown Boston.